Our team of dedicated and highly qualified surgeons, nurses, and staff are committed to providing the best possible care to our patients, from the intake to bedside manner to post-operative care. Dr. Ranawat, born in Sarwania, India, began his medical education and Orthopaedic residency training in India. 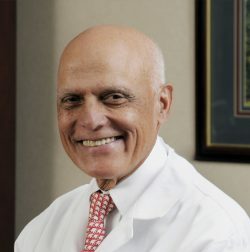 His training continued in the United States with fellowships in reconstructive and hand surgery at the Hospital for Special Surgery from 1966 to 1969. He became an attending Orthopaedic surgeon at the Hospital for Special Surgery in 1969 and practiced at that institution until 1994 when he moved his practice to Lenox Hill Hospital. There, Dr. Ranawat served as The James A. Nicholas Chairman of the Department of Orthopaedic Surgery and the Director of the Ranawat Orthopaedic Center at Lenox Hill Hospital. 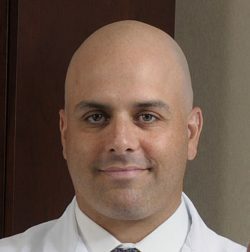 Currently, Dr. Ranawat is a Clinical Professor of Orthopaedic Surgery at Weill Medical College of Cornell University and is an Attending Orthopaedic Surgeon at the Hospital for Special Surgery. 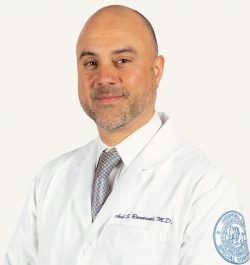 He also continues his position as Director of the Ranawat Orthopaedic Center at Lenox Hill Hospital as well as at the Hospital for Special Surgery. 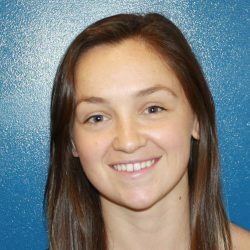 MaryClaire joined Ranawat Orthopaedics in 2019 as Dr. Anil Ranawat’s physician assistant. She works closely with Dr. Ranawat in the clinic and OR to provide patient care. Roxann is the Assistant to Dr. Amar Ranawat. She coordinates surgery and is involved in patient care. Founded in 1863, Hospital for Special Surgery is the nation’s oldest orthopedic hospital. Today more than 29,000 surgical procedures are performed annually. It is nationally ranked number one in orthopedics and number two in rheumatology by U.S. News & World Report. It has been top-ranked in both categories for 25 consecutive years. HSS takes pride in its faculty and staff. It has received nursing’s highest honor, the Magnet Award four consecutive times. It is leading the field in radiology and anesthesiology, and pioneering research with swift transitions from scientific breakthroughs to clinical treatments. HSS has one of the most competitive and sought after orthopedic residency programs in the country, with many of its graduates now serving as departments heads throughout the nation. HSS is entrusted with the treatment of many professional and elite athletes, including the New York Giants, Mets, and Knicks, as well as Ballet NY and several college teams. Visit www.hss.edu to find out more.